compression, quality of production, etc. are unique. That is why all our projects are unique as well. Thanks to our customers - we have good experience in servers` configuration for a different tasks. 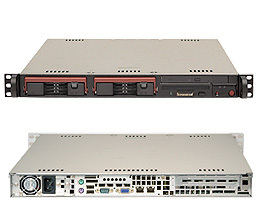 Depending on project`s goal we use 1U; or 2U; or 3U Rack-mounted servers. 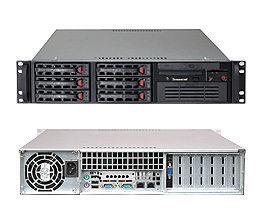 Traditionally our preference is, but not limited to, Supermicro Hardware. In order to get right configuration for servers, please provide to us details of your unique project, and we will calculate requirements for the hardware with sufficient power. Also we have an expertise in building of portable solutions, because Stream Labs` software can be installed on any Windows based computers. 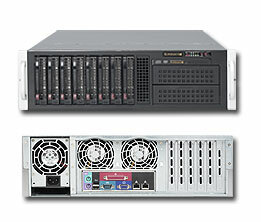 It means, that it is possible to use Rackmounted Servers, Workstations, small Desktop PC and Laptops as well. Examples below demonstrate how Stream Labs` Monitoring and Recording software could be used for different applications. This is a full-scale efficient system in compact aluminum case Mini-Tower with carry-on handle. Case dimensions are 170mm (W) x277mm (H) x252mm (D); weight of assembled product is 3,9 kg. Combination of such compact size and standard hardware components provides variety of options for configuration, total cost and maintenance of the system. Depending on task, we can install multichannel cards for analog CVBS (PAL/NTSC/SECAM) signals, SDI and DVB-ASI signals, TV tuners for reception of air and satellite broadcast DVB-C/C2/S/S2/T/T2. and small antenna will allow deployment of our system even in a middle of nowhere.